The idea behind this study started with a passionate discussion about the relevance of phosphorus (P) limitation in Arctic tundra soils. Most fertilization experiments had demonstrated widespread nitrogen (N) – rather than P – limitation in these ecosystems. However, they all focused on plant responses to fertilization, while we were asking a different question – are soil microbial communities P limited? This contrasting perspective led to the realization of the perhaps rather obvious difference between plants and microorganisms. As two completely different types of organisms with very different biomass composition, their stoichiometric nutrient demands are expected to be different. A literature review confirmed this expectation. Plants require more N relative to P than microorganisms. Thus, in view of Liebig’s Law of Minimum, increased plant biomass after N fertilization indicates previous plant N limitation. However, soil microorganisms can be P limited at the same time. While our initial question had been answered, we realized that the differential nutrient limitation of plants and soil microorganisms might explain how ecosystems respond to fertilization. 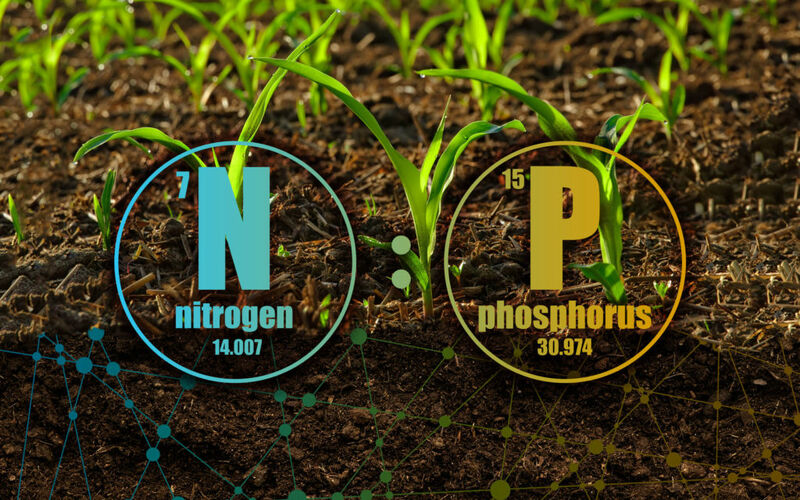 If plants and soil microorganisms had the same stoichiometric demands for N and P, they would be limited by the same nutrient at any time (unless other factors become limiting, such as organic carbon for microorganisms or light for plants). These conditions would necessarily lead to frequent competition between microorganisms and plants for the same nutrient, which in turn could lower plant growth. However, plants and microorganisms are not limited by the same nutrient and – on top of that – they often cooperate through symbiosis. When plants are N limited and their mycorrhizal symbionts are P limited, mycorrhizae provide plant with N that the fungi do not need as their growth is not N limited. Thus, it is convenient to have plants and soil microorganisms with different stoichiometric demands for N and P. In this way they are rarely limited by the same nutrient, which benefits both. At this point, the rationale of our work had been laid out – depending on which organism is limited by N or P, and whether plants and microorganisms cooperate (symbiosis) or compete, it was possible to predict when N or P fertilization would increase or decrease plant growth. When fertilization supports soil microorganisms, we can have two scenarios depending on the type of plant-microbe relationship: soil microorganisms can compete with plants, decreasing plant growth, or they can cooperate with plants, increasing plant growth. Our remaining challenge was to find unequivocal experimental evidence to test our expectations. Despite the large number of published factorial fertilization experiments, data characterizing soil microorganisms and nutrient conditions were partly available only in 51 studies. Data from these studies fully supported our expectations, and results were robust to assumption we made.